Get Envious Return on Investment like Summerlane! Jessie sat outside the inner-west business on a Saturday before the purchase and watched customer interaction at the store itself as well as the Business potential in ‘target’ customers passing by. Seeing plenty of possibilities for improvement, Jessie purchased the business and immediately renamed it ‘Summerlane’. Her initial intention was to buy, build and sell the company, but five years later she is still the happy owner. 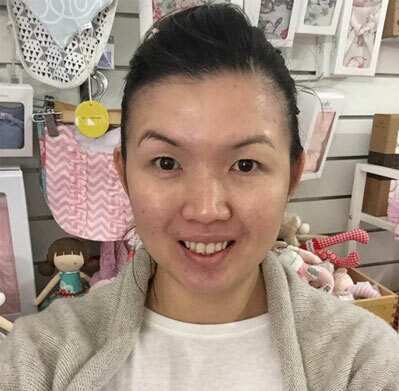 A few years ago, Jessie Goh decided on a whim to purchase a Sydney baby and toddler store she saw advertised online. The business came with no formal books, so Jessie had to start from scratch. But with the support of her husband Will and MaxMyProfit, Jessie has established a company that has a return on investment that most Business Owners would envy. A major challenge for Jessie initially was the fact the previous owner had no system or information in place, and reporting was non-existent. Although she got a great purchase price, she did have to build the business from scratch. Jessie enrolled in a Coaching Programme and got clear on the goals for the Business and the priorities for creating an enterprise that works ‘Without the Owner’. From the outset, Jessie used cloud software in her systemisation, even before it began to grow in popularity. The test and measure gathered over time was then used to plan everything from Purchasing and Marketing Plans, to recruitment strategies, to an Online Presence. Summerlane operates as both a bricks and mortar and online store. Since Jessie bought the business, four different companies that were suppliers have now become competitors, deciding to sell online directly to the public. Jessie quickly changed over her stock lines and suppliers to maximise her gross profit and therefore turn over double and triple her initial investment each month. Then it was about trial and error and researching to see the brands that people were talking about. After three to four years, she felt like she had the right product mix, and could be more selective with suppliers. Online has been a constant learning curve for Jessie and regular, objective Coaching with her business coach has been a valuable asset. The work-life balance is paramount to Jessie and Will, as he continues to operate the music school and she uses their third bedroom as an office, as Summerlane’s store doesn’t have a back room. Right at the beginning of the process, the couple did an Alignment with their Business Coach to ensure they were on the same page with the new business. This is a crucial process for life and business partners, and in this case Jessie and Will are both. Jessie credits Coaching with saving their relationship; going so far as to admit ‘she would not be married to Will if it wasn’t for our business coach’. The first chief outcome was Jessie’s Return on Investment, as Jessie went from a $10,000 purchase including stock, to Summerlane earning $180,000 in its first 12 months. In three years Jessie has successfully prepared her business to ‘Work without Her’ in line with the original goal. After 3 years, Jessie and Will enjoyed three months in Europe and Summerlane thrived in her absence, as she recruited two assistants with different skillsets. One focused on retail merchandising and the other handled the technology and finance. Jessie believed her mindset changed thanks to Coaching as she learned to think outside the box and look for opportunities rather than focus on the negatives. She is now the owner of a challenging and profitable business that is independent of its owner with excellent systems in place. Her coach says Jessie has gained an experience in business that can’t be monetised, and she wholeheartedly agrees. I have been working with MaxMyProfit for approx 3 years now, and over that time I have learnt a lot of things about not only what it takes to run a business, but I have also learnt things about myself. I don't believe i'd be the person or have the business I have today if it wasn't for MaxMyProfit and our Business Excelerator. Great team to work with if you want to take your business serious! As a new client for MaxMyProfit (MMP) it has taken no time at all to realise the benefits of business coaching. Despite many years of senior management experience starting a new business requires best practice systems and processes built on a solid platform of detailed planning. I look forward to the benefits of adopting the formula being shared by MMP. MaxMyProfit Are truly awesome at what they do. They have helped me over the past 12 months to get off the tools in my business and start working on my business. I am looking forward to 2019 with enthusiasm not concern. Thanks so much. The team at MaxMyProfit are an absolute pleasure to deal with. I love working with a team who is on top of what they are doing and have a clear view of what they are working on with you and helping ensure you get to the end goal. MaxMyProfit are unique as they really partner with you to develop and implement a plan that will drive success for the business. I was hesitant to proceed as previous business coaches tell you what to do and rely on you to implement. I attended one of MaxMyProfits introductory events in Melbourne. Having been an accountant for almost 30 years, I was somewhat sceptical. Boy was I wrong. I not only enjoyed the presentation, but I gleaned so much from just that session.